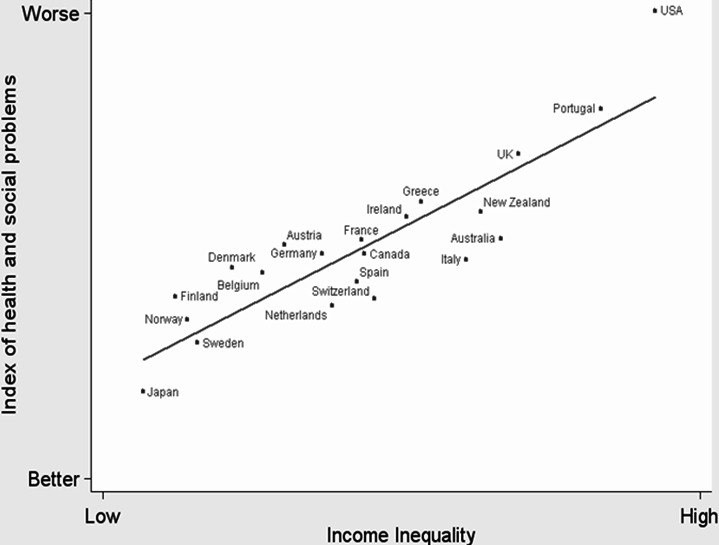 Until 2010, I did not know much about the consequences of economic inequality. Then I came across the book The Spirit Level in which the authors Richard Wilkinson and Kate Pickett presented their research results which showed that high levels of inequality in societies is harmful for everyone within them. 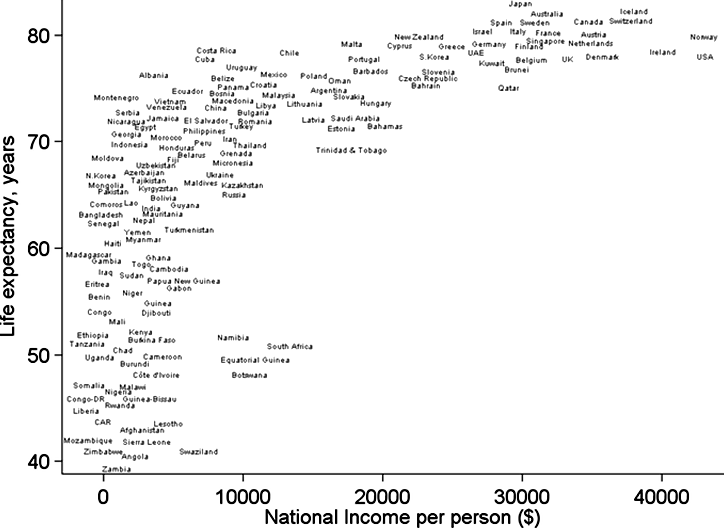 Their research showed that (1) the more developed a country is, the less important further economic growth is for certain objectively measurable outcomes, like life expectancy (see graph), (2) in a study of 23 of the richest countries there was a strong relationship between health and social problems and the level of income inequality (see graph), (3) in a study of the 50 American States this same relationship was found (see graph). Then I came across several other authors who directly addressed the dangers of high inequality such as Joseph Stiglitz' The Price of Inequality. In the book, Stiglitz documents how the fact that the US is the most unequal advanced industrial society has created a divided society and threatens both democracy and the judicial system. Pretty much the same message is driven home by Robert Reich in his books and his recent movie Inequality for all. Both Stiglitz and Reich argue that high economic inequality is dangerous but not inevitable and both offer solutions. Reich, for example, offers these 6 solutions: (1) raise the minimum wage, (2) strengthen workers' voices, (3) invest in education, (4) reform wall street, (5) fix the tax system, (6) get big money out of politics. 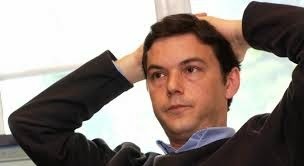 Now there is a new book by Thomas Piketty called Capital in the Twenty-First Century. Piketty adds a new dimension to previous analyses about inequality. 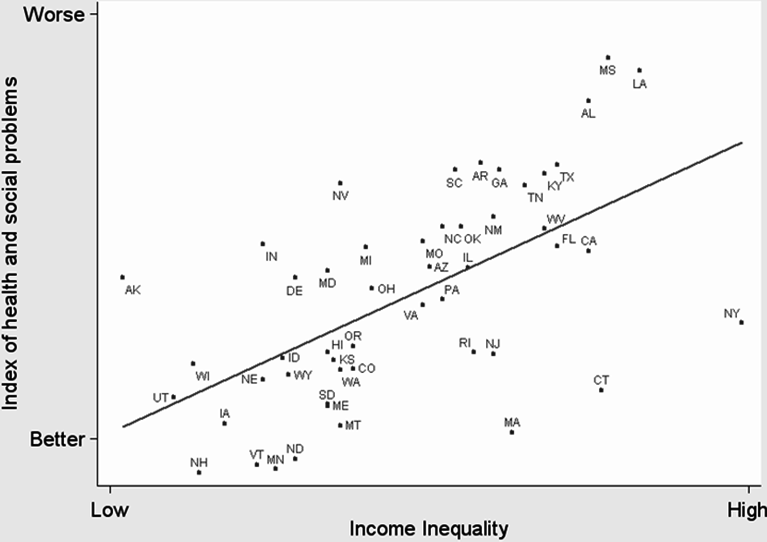 As the author explains the level of inequality is affected by several mechanisms, some of which push toward convergence, others toward divergence. The diffusion of knowledge and investment in training and skills is a main force for convergence. Another type of factor which may cause great convergence is large scale war (like WWI and WWII) mainly due to its destructive effect on capital. Factors driving divergence may be social and fiscal norms which make it possible for people in top positions to practically set their own remuneration. But there is a more fundamental force of divergence which can be described by the equation r>g in which r is the rate of return on capital and g is the rate of growth of the economy. Whenever r remains significantly above g for an extended period of time, there is a great push for increasing inequality because individual fortunes will grow faster than the economy. When that happens individual fortunes will take an ever greater share of the economy, inherited wealth will start to play an ever increasing role, and societies start to move in the direction of oligarchies. Now take a look at the following graph and note that we seem to be on the verge of entering such a period. 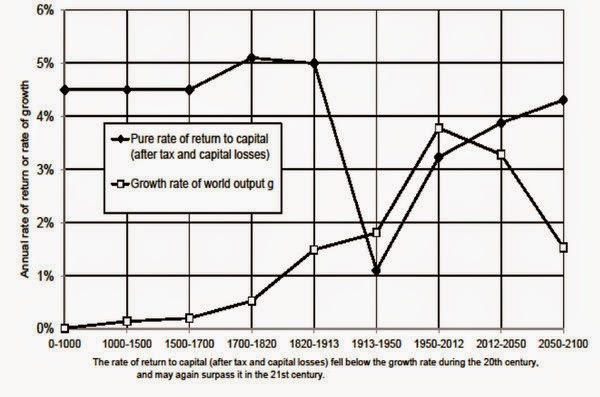 Piketty is not fatalistic. The main thing to do, he says, is to install significantly more progressive income and wealth taxes on a global level. I think the book is impressive. It contains clear definitions, sound logic and compelling evidence. Its message should be taken to heart by politicians and citizens.